At the junction of Lower Higham Road and Chalk Road in the village of Chalk is Craddock’s Cottage that, for a long time, was thought to be the cottage where Charles Dickens spent his honeymoon. Indeed, the cottage has a bust of Dickens, by Percy Fitzgerald (a personal friend of Charles Dickens), with a tablet stating that it is here that Dickens spent his honeymoon. 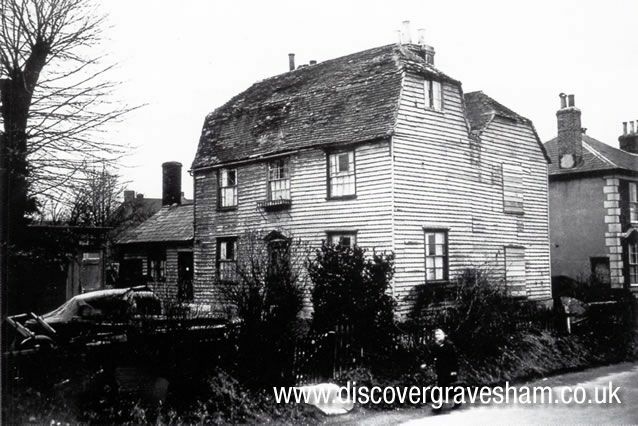 Craddock's cottage was identified as Dickens Honeymoon abode by research carried out by Gravesend Borough librarian Alex J. Philip (librarian 1903-1946). However, an authenticated handwritten letter by Dickens at the time was sent from Mrs Nash’s, which was 18 Lower Higham Road. This cottage was demolished in 1957 and a picture is shown here. There are also two other places that claim to be Dickens honeymoon cottage, and these are "The Manor House" in Chalk Road and the now demolished "Malt House Farm" on the corner of West Court Lane and Lower Higham Road. More information can be found in A. J. Philip, Dickens Honeymoon and Where He Spent It. 1911. Available for reference at Gravesend Library.